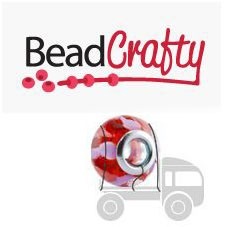 BeadCrafty is a UK online bead retailer that's just a few months old. There aren't yet many items but the site will certainly grow. Bradford based Steve and Sarah have 10 years eCommerce experience with their other site, Streetshirts.com which they are now bringing to their new venture. Steve said, "The reason we decided to start the business is obviously the interest we share in making jewellery and crafts. 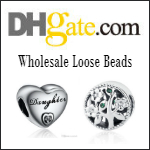 After using other beading sites we thought we could offer a better customer service and faster dispatch." It's no coincidence they have the Pandora-style bead on a truck logo because they offer same day dispatch. Shipping is also free if you are based in the UK. 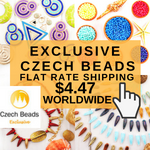 International shipping is only 1.95 in whichever currency you are using! 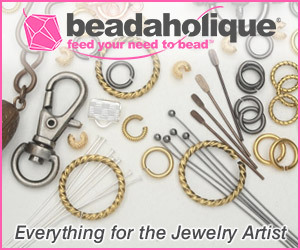 BeadCrafty has kindly sponsored this giveaway for a $85 or £50 gift certificate. That translates to a whole lot of beads and findings for one lucky winner! They do stock basics like Swarovski crystals. Some of my favorite items from their site are shown here. To win this gift certificate, all you have to do is make a comment below. Extra entries if you become or are a blog subscriber or follower etc - even more entries if you do it for not just me but Lex's sites too. If you also publicize it, those will count as additional entries too! Please say so in the comments. 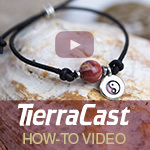 This international giveaway ends in a week's time at 6 pm EST Monday, November 7, 2011. I will pick a winner randomly and announce the results as soon as possible after. So be sure to come back and check! Good luck! Now off to check out BeadCrafty. Such neat things they have. Love the crystal snowflake! Looks like a great giveaway. I'll be checking out their site. It would be so fun to win! Shared on my FB page, Gem Rio. Oh, I want those apples and oranges! 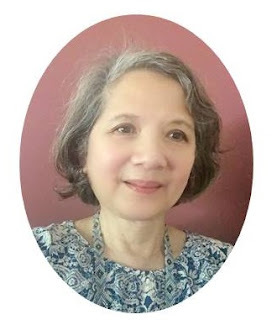 And said so on my blog, promoting the giveaway. Thanks, Pearl! Those little apple beads... so cute! I can't wait to go see what else they have. Pearl, I'm always up for another great supplier, and their shipping is so reasonable! Thanks for finding them. Those are some luscious beads. What a nice treat on Halloween morning! I'm a subscriber to your blog via email & I like you on FB. Thanks Pearl & much success to the new bead shop. Nice knot beads. How about a tutorial on making those? Great to see another international bead site. I'm a blog follower and Facebook fan. Thanks for the giveaway, Pearl. I do love your blog. They have some nice items (like the lilac shell pearl mixes). I'd love a chance to win. Thanks for the opportunity! I'm a blog follower and following on Twitter. Luv your site! Would luv to win this certificate! 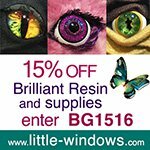 Great giveaway--I checked out the website, and they really do have a lot on there for being a brand new website. Would love to win! I am a twitter follower, facebook fan, blog subscriber, I tweeted this, and I put a shout out on my facebook page. So what's that....5 chances to win?? Hope it helps :) Thanks Pearl! Neat stuff. I'm a follower!!! I would love to have some of these orange slices!!! The fimo apple beads are sooo cute ! Beautiful beads! Thank you for the chance to win! Thanks so much for highlighting the BeadCrafty site - I'm in the UK and have never heard of it before! Not often you find somewhere that does free postage on any order. How fun!! Would love to win this and have my daughter pick out some fun beads for her hobby. Love the orange beads that you've shown! I follow through FB and 2 twitter accounts, along with subscribing by email. I love the printed shell beads! What a happy day is was when I stumbled upon your "journal"! The featured designs and artists are always inspirational and the tutorials are the most helpful! Thank you for sharing! 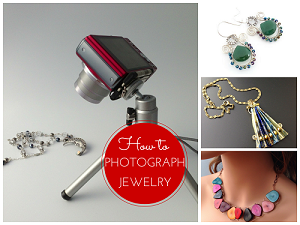 Who doesn't love a bead shopping spree?! Count me in!! Cool giveaway! I'd love to enter! Wow! luv the unusual beads and great postage. Thanks. I love the orange bead. So juicy. I'm a blog subscriber. Hope I can win. Wow! A giveaway and from this side of the world too! Awesomne! Would you put my name in the hat,please? I'm a blog follower and subscriber, I follow you on twitter and Facebook.